I will be signing copies of the 2011 Thompson Street calendar at Maria's in Middleboro. This event will be from 12-2PM on Saturday, December 11, 2011. Maria's is a popular stationery store that is located at 1 Center Street in Middleboro. The proceeds from the sale of the calendars will benefit the Committee for the Preservation of Thompson Street. The Committee is dedicated to preserving the rural character of Thompson Street. This beautiful three mile long stretch of road is one of the last agriculutural areas in Middleboro. The farm properties along Thompson Street are under numerous threats of large scale development. The residents of Thompson Street have banded together to try to preserve their neighborhood. 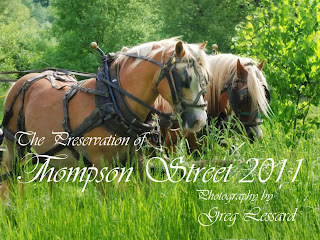 The 2012 calendars are simply beautiful and they make an outstanding gift! They are affordably priced at $15 each. I will also hold a drawing for a print of the winner's choice. A ticket will be entered for every calendar purchased from 12-2PM on Saturday, December 11, 2011. The winner will be announced later that day, here on this blog. In addition to the calendars, I will be selling prints of the images that were featured in the 2011 and 2012 Thompson Street calendars. Refreshments will be served including some of Pat Farrington’s world famous baklava! I do hope you will come out and support Thompson Street on Saturday, December 11, from 12-2PM. There is only a limited supply of calendars available. Don't miss out! This past week I went to two workshops. On Tuesday, I attended a photography workshop by Jerry Monkman, as a guest of the South Shore Camera Club. 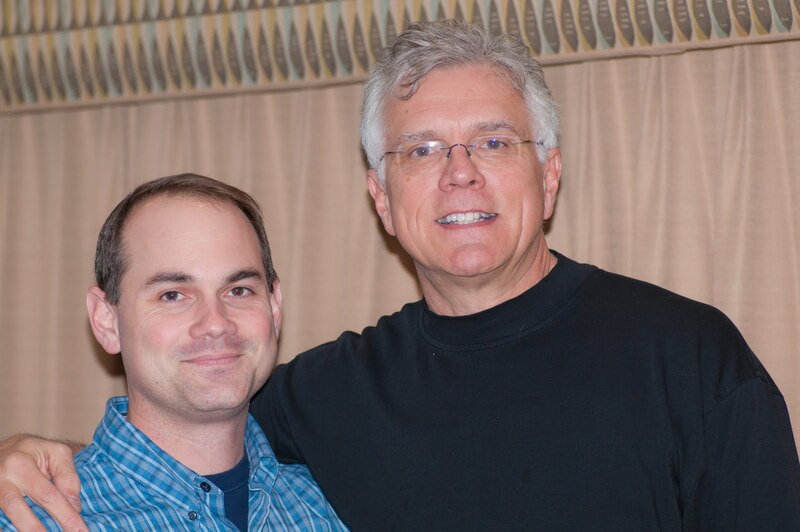 Jerry is a NH based photographer who runs his own company called Ecophotography. He writes a regular column for Outdoor Photographer and he is an up and coming star in the field of nature photography. His workshop was on tips for winter photography. I have been a fan of Jerry for years. It was a pleasure to meet him and see his outstanding presentation! Thank you SSCC!! On Saturday I attended a workshop given by Rick Sammon. Rick is a Canon Explorer of Light and one of the world's great photographers. He is a gifted speaker and is a wonderful teacher. His presentation lasted for four hours, but it seemed to pass in a flash. His stories are full of humor and very entertaining. While you are being seriously entertained, you also learn a ton! Rick's workshop was hosted by the Plymouth Digital Photographer's Club, of which I am a member. Our leader, Amy Davies invited Rick to speak to us and she organized the event. What a great event it was! Photo courtesy of Graham Custard.